Parenting teens is difficult under the best circumstances. Teen parenting is made that much harder when your teen is struggling or troubled. When teens are in emotional trouble, they tend to act out. This is how teens reach out for help. They act out to get attention. Cutting in teens is different. Cutting is well concealed and difficult to discover because it is not really acting out. It is a dangerous way to deal with the pressures of teen life or a symptom of deeper psychological issues. 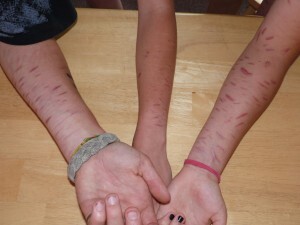 Teen cutting is a significant and dangerous problem that has a lot of difficult emotional aspects. Teens may get into cutting innocently, but can and do become addicted to this dangerous practice. There is not one single reason for cutting and there are a variety of situations that can lead to it. Often cutting is a way to get relief from stress and difficult emotions. When you talk to cutters, this is a common theme. Cutting is a way to manage emotions. It’s estimated that one in every 200 American girls between the ages of 13 and 19 cut themselves regularly. The reason teenage girls are most susceptible to cutting is that they are under enormous pressure to be smart, beautiful, and well liked. This intense social pressure is a common reason for cutting. It is also one of the reasons why cutting is more prevalent among teen girls than teen boys. The pressure to be perfect is intense for young women and leads to cutting to relieve pressure. Cutting is a growing problem among boys. Over 10% of self-harm is attributed to boys. The pressures that lead to cutting are different for boys than for girls, but they are just as real and intense. Cutting has also become a part of teen culture from being in the news, hearing about other teens cutting through the grapevine, and becoming a part of the risk taking that teenagers do. This is the most common reason for cutting. It can temporarily bring a sense of relief to the cutter. Although cutting can be a coping mechanism for stress and social pressure, it can also be a sign of serious psychological problems that need professional attention. Cutting can be a way for your teenager to deal with feelings of hopelessness, depression and anxiety, and extreme emotions. Sometimes cutting is a way to cope with extremely bad feelings–possibly as a consequence of early childhood trauma. It could be that the person cutting is severely disturbed. 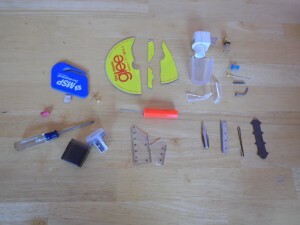 Regardless of how teens get into cutting, it can become a way to solve problems. Cutting does take away difficult emotions and gives the cutter an emotional release. In that sense it is similar to taking drugs or engaging in other high-risk activities. Teens that have stayed with us at the Fire Mountain Residential Treatment Center have described cutting in different ways. Listen to what they have to say. Mercy – Cutting can be contagious. A lot of teens are struggling, and it’s easy: more convenient (and cheaper) than drugs. You hear about it and it’s like, “Why not?” People don’t realize that even though cutting doesn’t = suicidal, long term cutting behaviors can lead to suicide attempts. Everyone I know that cuts has made an attempt, after cutting started. Also, you can never tell if cutting is going to turn into an addiction or if it is just trying to express emotion. It needs to be dealt with immediately, not like “Well, it’s a phase, they’ll get over it.” Because they might not. I don’t cut for attention, but in some way I do, simply because I feel like its the only way I can express the intensity of what I’m feeling, but it’s something very secret and private that you want to be yours. Sarah – In almost every case, cutting is sacred, private and kept hidden. It is not done in front of others or in a “cult” setting. I went two years before my parents were aware that the real reason behind the random sharps they would find were the food for my self-injuring behavior. My cuts got progressively deeper, my habit became a daily ritual. I became more impulsive and experimental, the biggest things that were seen as what put me into rehab. I know now that those were just two sneaky arms of addiction. Mikah – Just like drugs, I feel like my brain is literally going to die if I don’t cut. And when I do it feels great for about ten seconds, then all hell comes down on me. It’s not a very fun cycle to be caught in, but I also know from experience that there is a way out. People who cut from trauma are not at all the same as addict cutter. We addicts need to cut to live – if we don’t, we freak the hell out. People who cut from trauma do so to relieve the temporary pain, but don’t feel like they’ll die without it. Michelle – I cut because I feel way too much or nothing at all. In the beginning it was that my emotions were too intense. My abuse trauma was coming up a lot more and I couldn’t deal with those thoughts or the feelings that went with them I cut for about 5 months on my stomach and right on my bra line. No one ever knew. In April I was sent to treatment for depression and that is where my parents found out. I cut to escape my past and escape myself. My mind – the mind – is the most dangerous place for a cutter. It plays tricks on you… lies, tells you everything will be okay if you brake that glass cup or lock yourself in the bathroom. If you believe your kid is self-harming in the bathroom, trust me, they are not just pooping (that was my favorite excuse). Cutting is just as or more serious in some cases than drugs. Don’t ignore it – help it! What Does This Tell Us About Cutting? Cutting is contagious and dangerous and can become a painful addiction. People do not think of cutting as an addiction but there are compelling reasons to think of cutting as an addiction and treat it as an addiction. The act of cutting releases endorphins into the system, creating a sense of calm and physical relief. Endorphins are the body’s natural opiate. They have a complicated bio-chemical effect on the human body. The ability of cutting to induce a calm feeling is one of the main reasons for cutting. Teens may get into cutting innocently, but can and do become addicted to this dangerous practice. Cutting is a form of self-injury. It is not easy to detect. It is not a cry for help, it is an act that is done in secret and hidden from view. Here are some indications that your teen may be cutting. What can parents do about teen cutting? Don’t react with anger or fear. Talk to your teenager about the cuts and try to find out the reason for cutting. Make an appointment to see a therapist. Understand that this is a difficult and frightening moment for you and your teen. They are as terrified of being discovered as you are of finding out. Teen cutting can be very serious. Cutting is a sign of deep-seated problems, and discovering those other problems is essential in helping your teen overcome the the need for cutting. That is why you should always see a professional therapist when you discover that your teen is cutting. Left untreated, the underlying emotional problems that lead to cutting remain unresolved and the scars will last a lifetime. At Fire Mountain we get many teens coming to our residential treatment center who are cutting. All the kids at our residential treatment center go through our program as outlined on our curriculum page. They are also individuals who need different specialized healing therapies. For cutting, we have had success with Low Dose Naltrexone treatments. Low Dose Naltrexone is and effective way to reduce the need for cutting and allow them to grow into healthy ways of dealing with stress and powerful emotions.